Contrary to a pledge he made last week, Andrew Yang won’t be pardoning all non-violent drug offenders if elected president, he clarified on Sunday. The opportunity for mass clemency will apply exclusively to people convicted of violating federal marijuana laws. “So only marijuana, not all non-violent drug offenders?” Stephanopoulos asked. “Yeah, that’s correct,” Yang said. 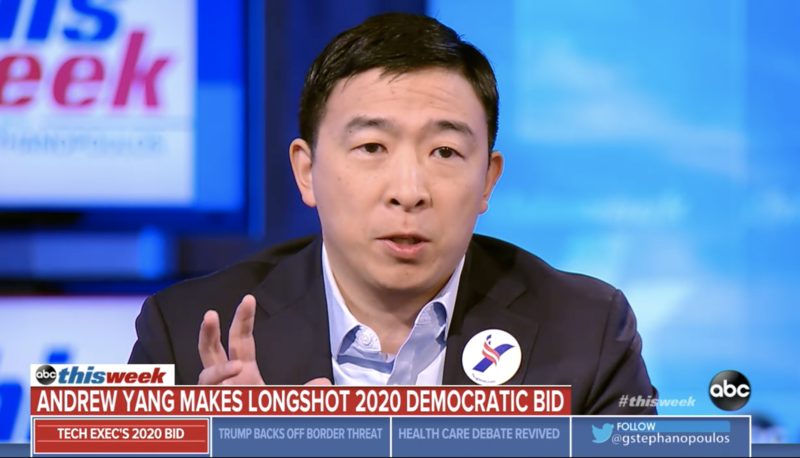 While Yang’s proposal to decriminalize opioids sets his drug policy platform apart from those of his Democratic opponents, campaigning on a plan to pardon all non-violent drug offenders would have seriously distinguished his campaign. Presidential pardons only apply to federal convictions but, even so, mass clemency would have impacted tens of thousands of individuals and sent a strong signal to states. It seems Yang isn’t quite willing to go as far as he intimated during last week’s rally, however. That said, his campaign site does include a policy of identifying non-violent drug offenders “for probation and potential early release” in addition to expunging the records of individuals with prior cannabis convictions. That puts him in similar standing to Sen. Cory Booker (D-NJ), who also said he would consider granting mass pardons and commutations for marijuana offenders.